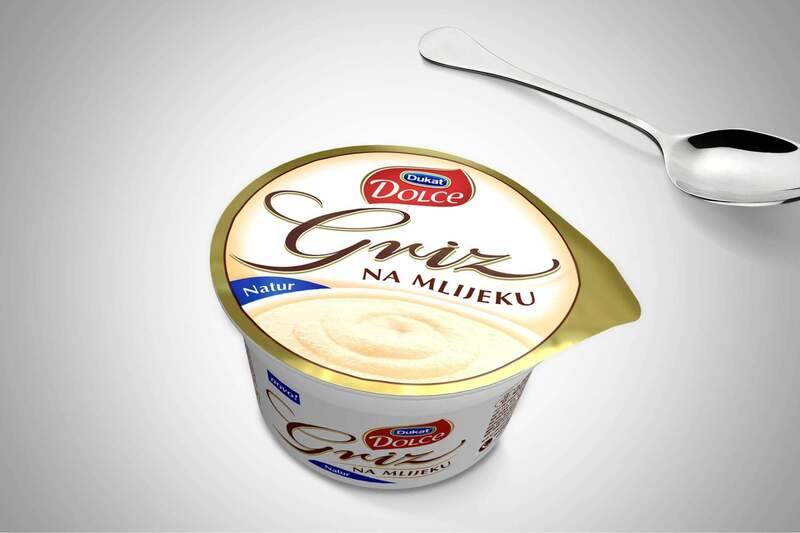 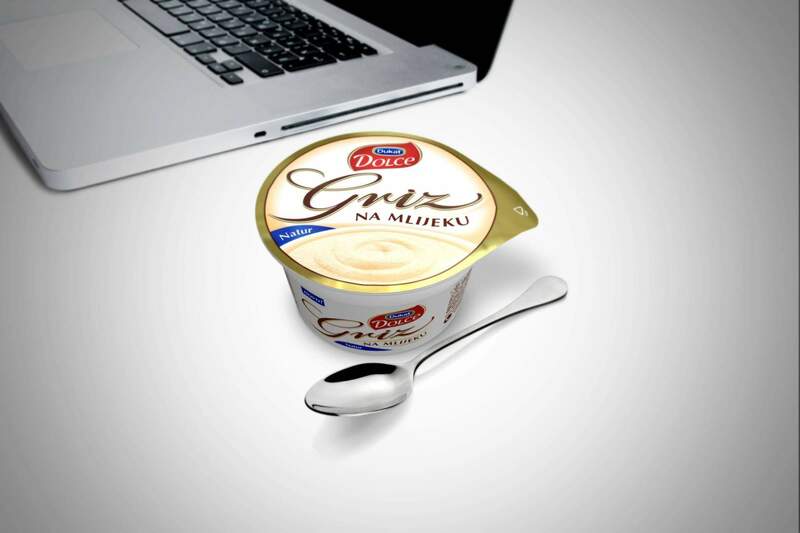 Designing the packaging for Dukat’s new, premium products – Rice and Semolina porridges – that would embody their quality and irresistible taste and successfully incorporate them into the pre-existing line of Dukat puddings. 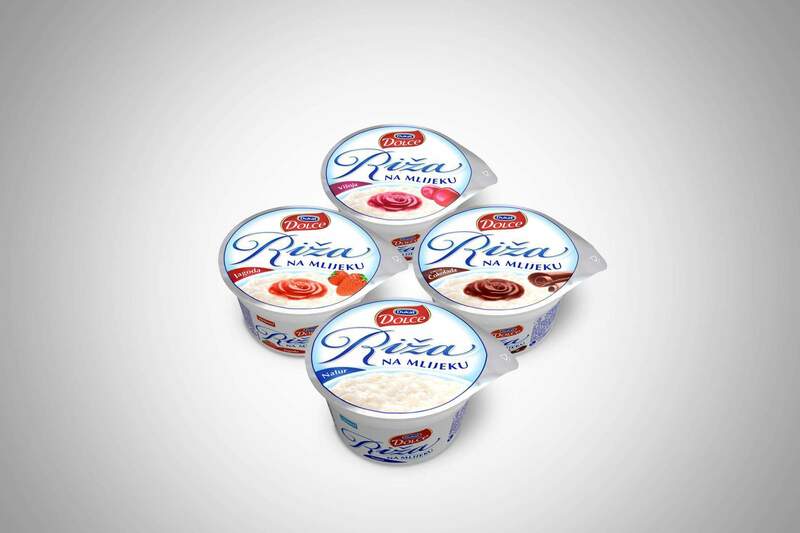 By creating an original packaging, we have incorporated seven new products into the pre-existing line of Dukat puddings called Dukat Dolce. 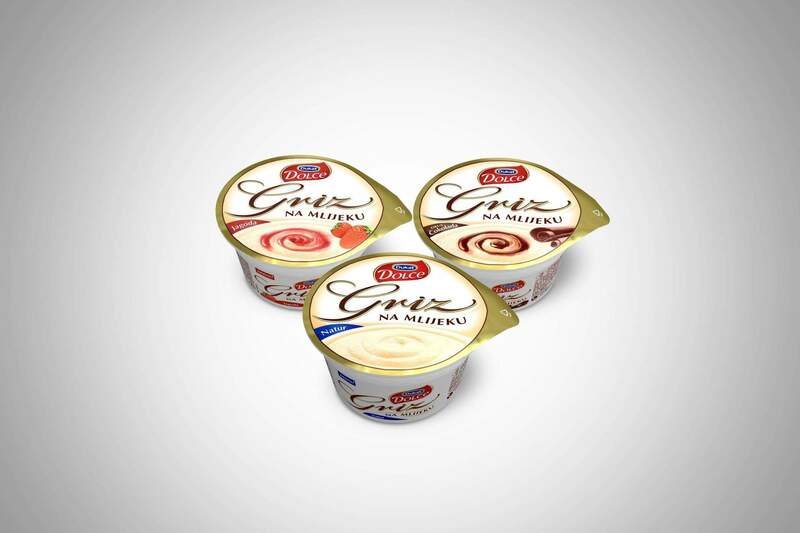 The packaging of these products unmistakably classifies them as members of the premium line, evoking the rich taste and the joy experienced whilst eating these creamy desserts.